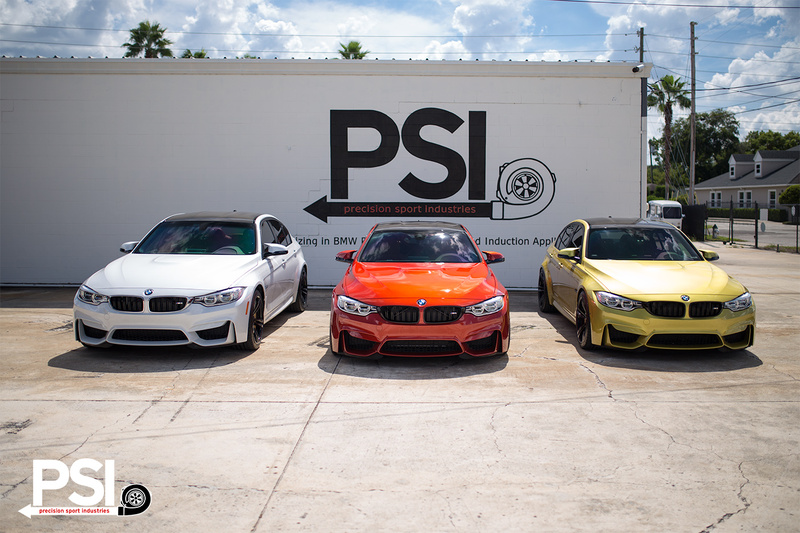 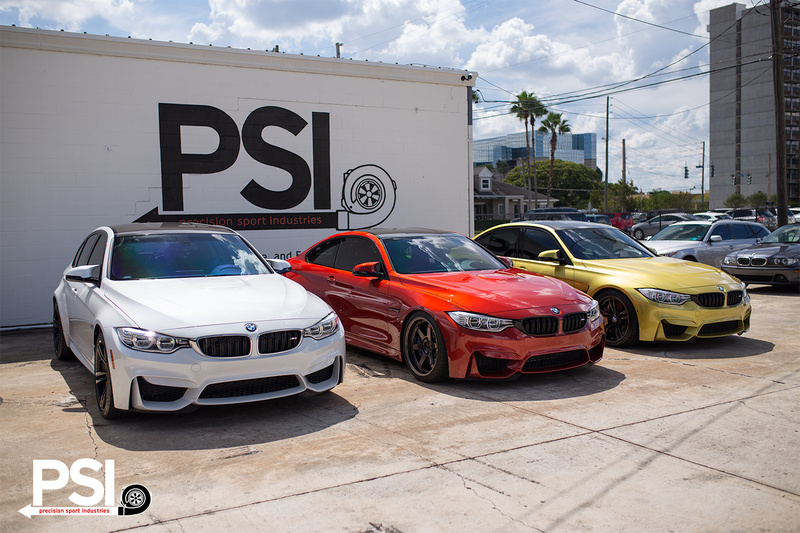 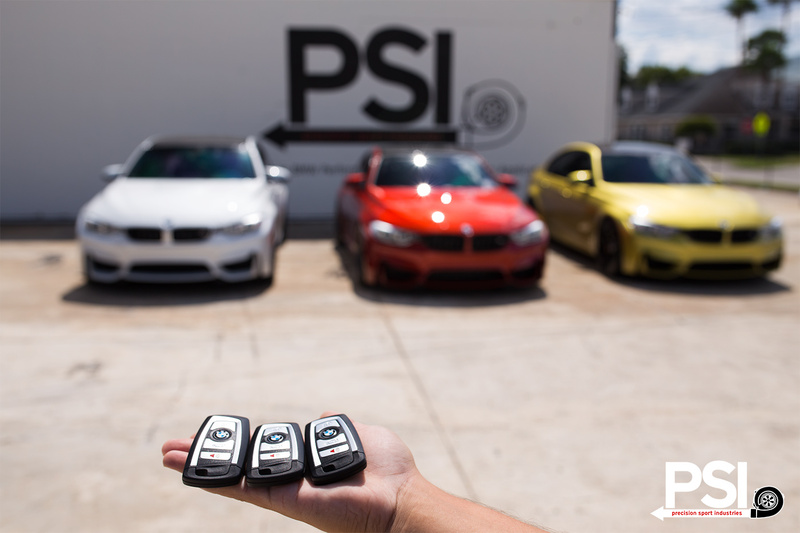 Here are two BMW F80 M3s we have in for upgrades and our Sakhir M4 all side-by-side to compare the varying colors and suspension options these cars have. 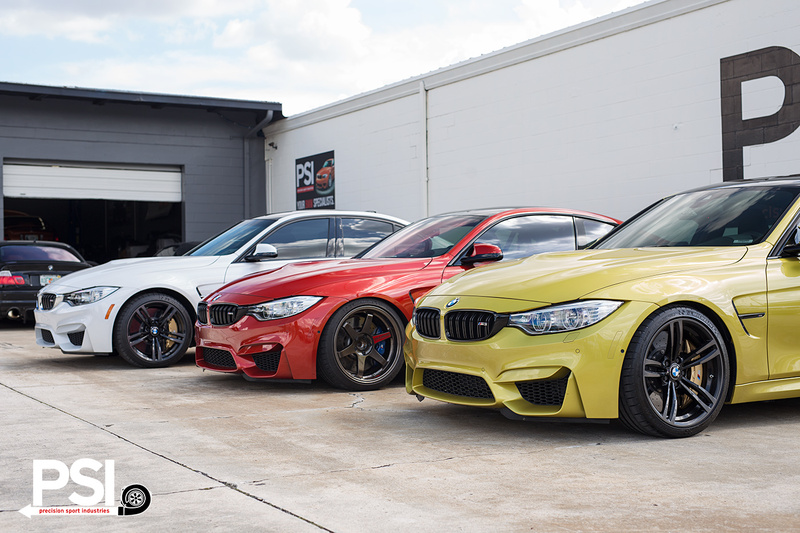 MW F80 M3 – Stock suspension and no spacers (for now). 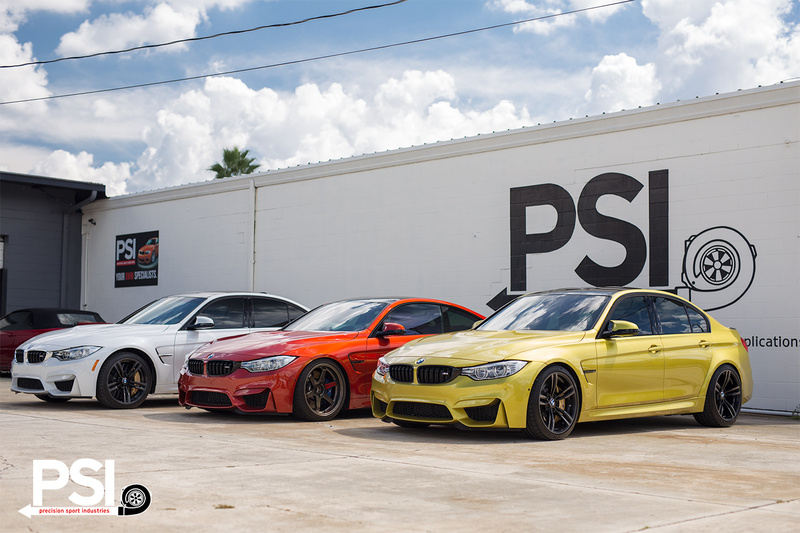 SO F82 M4 – BC Racing Coil Overs (prototype setup). 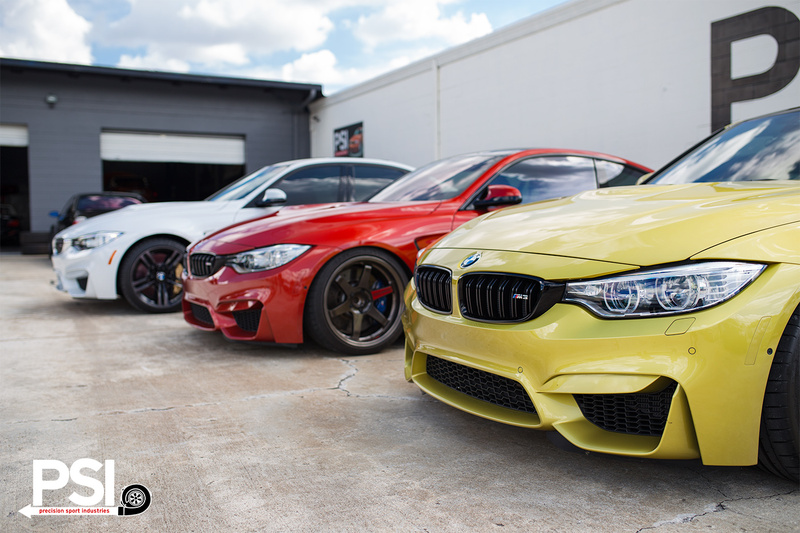 AY F80 M3 – H&R Sport Springs (F80 Specific) with 15mm spacers all around.